Looking for bridal shower games for an upcoming bridal shower? You’ve come to the right place! Here are a variety of easy bridal shower games that are non-cheesy, fun, and easy to put together! Most of my good friends have gotten in the past few years, and I’ve attended a lot of bridal showers. I have even a hosted a few of my own, and I always thoroughly enjoy them – there is just something so special about celebrating a person’s upcoming marriage. However, I feel like people are pretty split on bridal shower games – some love them, while others absolutely despise them. I even went to one recently where someone left as soon as they started playing games. Ha! I’m in the camp that loves them, and I’m always a little sad if people don’t have them. So, I put together a list of fun and easy bridal shower games. Many of these can be done while socializing, while others require a little more attention to details. I’ve also included a list of bridal shower prizes! There are a lot of options for bridal shower invitations nowadays – I think I get more Facebook invites than anything. All you have to do is make an event and press invite! With that said, I still think it’s nice to send out actual invitations if you can – at least to people who may not be as “tech-savvy”. You can easily make your own using a website called Canva. They have a lot of free designs, but even the ones that aren’t free are only a few dollars. But, if you aren’t feeling particularly creative, I recommend checking out Wedding Paper Divas. They have beautiful invitations that are totally customizable and for pretty good prices. Another option is to use Evite – they have a nice selection of free and paid invitations that you can send via email. It’s a little more formal than a Facebook event, but it’s not quite as cumbersome as sending invitations in the mail. Now, for the game ideas. I feel like I’ve put together a nice variety of easy games and activities that everyone will enjoy participating in. This is a more modern version of the “What’s in your Purse” game (which is still fun). I actually played a version of this at a baby shower recently, but it’s great for bridal showers as well. Everyone is given a sheet of paper that has different point levels for different tasks. For instance, under the 20 point section, it may say, “If you have the bridal shower in your calendar on your phone” you get 20 points. Whoever has the most points, wins! You can make your own version of this (I plan to make a printable version soon), or you can purchase a template for it here. However, if you want to stick to a more traditional version, this is a great printable for What’s in your Purse. This is a game that I came up with for my sister-in-law’s bridal shower a few years ago. I thought it was kind of clever and fun. I purchased four different flavors of cake bites from Sweet Tooth Fairy (enough for about five teams of two), and I placed on them a little serving dish with mini forks. Each team had to taste each cake bite and guess what the flavor was. Whichever team identifies them all correctly first wins! Who Knows the Bride the Best? This is a pretty simple game – just have everyone answer questions about the bride. Whoever gets the most right wins a prize. You can easily make a template, find one on Pinterest, or order one from Etsy. Lots of fun options! There are several variations of this game, but the gist of it is that everyone starts with one plastic ring (you can buy them in bulk here). You aren’t supposed to say Bride (or you can select another buzzword – the bride’s name, wedding, the groom’s name, etc.). If you catch someone saying the word, you steal their ring. Whoever has the most in the end wins! For this one, you will print off several photos of the bride with no makeup on – I would suggest an 8×10. Then, using cheap makeup (the Dollar Tree is a great place to buy this or .l.f. brand), you work in teams to draw the best wedding makeup on the bride. The bride gets to pick which team’s makeover she likes the best! You place different pictures of the bride at different stages in her life. Everyone makes a guess for each age how old she is. Super simple and a great game for when people are just starting to arrive. I really enjoy games like this – they are low key, but they are challenging, too. For this one, everyone has to match a famous Disney love song to the movie it came from. You can get a free printable for this one here. You can also play match the Disney quotes if that sounds better! This isn’t really a game – just a fun activity. You put out envelopes and cards for anniversaries (you could do every five years to make things simpler – or just the first 15-20) and people can write advice, words of wisdom, or whatever they want on the card. The bride takes all the cards home, and she and her spouse will open them on that anniversary. I saw a lot of different versions of this game, but the gist is always the same – people just unscramble different words, phrases, movies, or songs. Whoever gets the most right wins! Etsy has all sorts of templates for this game. You can buy cheap champagne (or, in my case, sparkling cider) flutes at the Dollar Tree or on Amazon and then you stack them up. People take turns throwing a ping pong ball at them and seeing who can knock them over first. Get a jar or vase and place a bunch of Hershey Kisses in it. Put up a cute sign (you can get one here) and then everyone just has to guess how many are in there. Winner gets all the kisses! 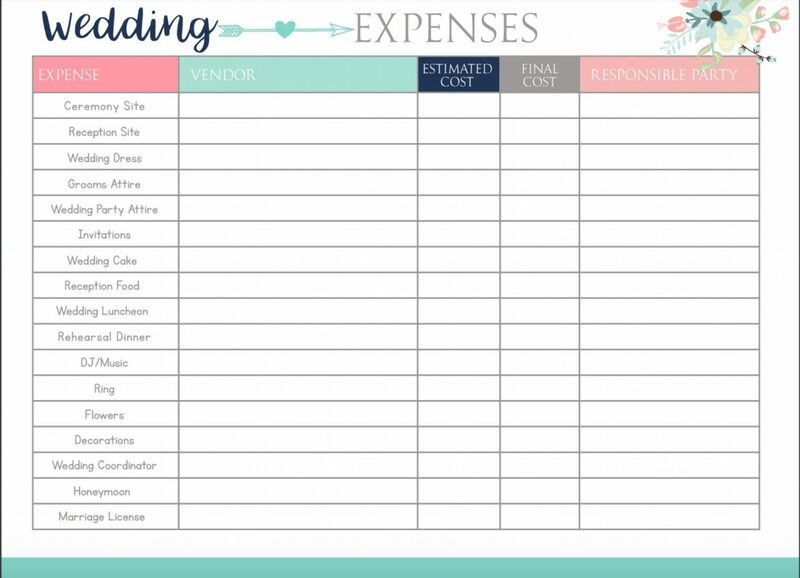 For this one, you have sheets of paper where you print the different costs for different parts of a wedding (venue, gown, flowers, etc.). Then, each guest has to guess if the bride and groom went higher or lower – whoever gets the most right wins. However, I would only do that one if the bride doesn’t mind revealing the cost of her wedding. Alternatively, you can put down different numbers for the costs of parts of the wedding (that aren’t correct), and everyone has to guess whether the number is too high or too low. Who doesn’t love a good game of bridal? It’s simple to play, and it’s fun! Pinterest has tons of boards you can print off, but I love the options on Etsy as well. I thought this one from Wedding Paper Divas was kind of cool – each guest writes down the names of different gifts you think the bride will get. If she gets one, you cross it off – if you get a row completed, you win a prize! Scattegories is one of my favorite games, so this is one I think would be super fun. There are tons of versions of it on Etsy! Okay, this one is cheesy, but I always think it’s hilarious. You put together teams of bridal shower attendees – one of them volunteers to be the “bride”, and the others use toilet paper to make her a gown and veil. The bride decides which one she likes the most! If you are going to play games, you HAVE to have prizes – but they don’t have to be super fancy. I think most people are just excited to win. Here are a few ideas for bridal shower prizes; when in doubt, head to the Dollar Tree! Soaps and Lotions – I always like anything from Bath and Body Works. I saw a cute idea where someone put tulle on the top of the dispenser to make it look like a veil! Sample sizes of shampoo, body lotion, etc. Plant (This was given out at a baby shower I went to recently, and I LOVED it!). These are awesome! I love the cake tasting idea! That is definitely one I would like to do! Also, love the new site! And your picture is so cute!